The astrogeographical position of Stalingrad. Astrology, History and places: the astrogeogrphical resonance degrees of one of the deiciseive battle fields in World War 2. Astrogeographic position of of Stalingrad/Volgograd for field level 1 which describes the supraregional and global meaning : located on the west banks of Volga River one ccordinate of the position of Stalingrad/Volgograd is located next to the cardinal divide between dynamic mental fire sign Sagittarius and Capricorn on the first degree of highly defensive, solid, strict, hierarchical earth sign Capricorn sign of control, fortresses. separation, walls, borders, laws and government control. The first degree of Capricorn so relates the area of the City of Wolgograd to a checkpost explaining its extremely important strategical position as a gate between two worlds and a central place of resonance of government control over the region. The 2nd coordinate of Stalingrad/Volgograd lies at 24° of self-protective, defensive, emotional water sign Cancer the sign of motherhood, feeling at home and as the sign of rivers an indicator for the location of the region of the city in the Volga River Plain. Cancer as the sign of feeling at home, family, emotional roots, the home land and an important indicator for the motivation for patriotism could explain the courage as well as pains suffered by the defenders of Stalingrad as well as the attacking armies. 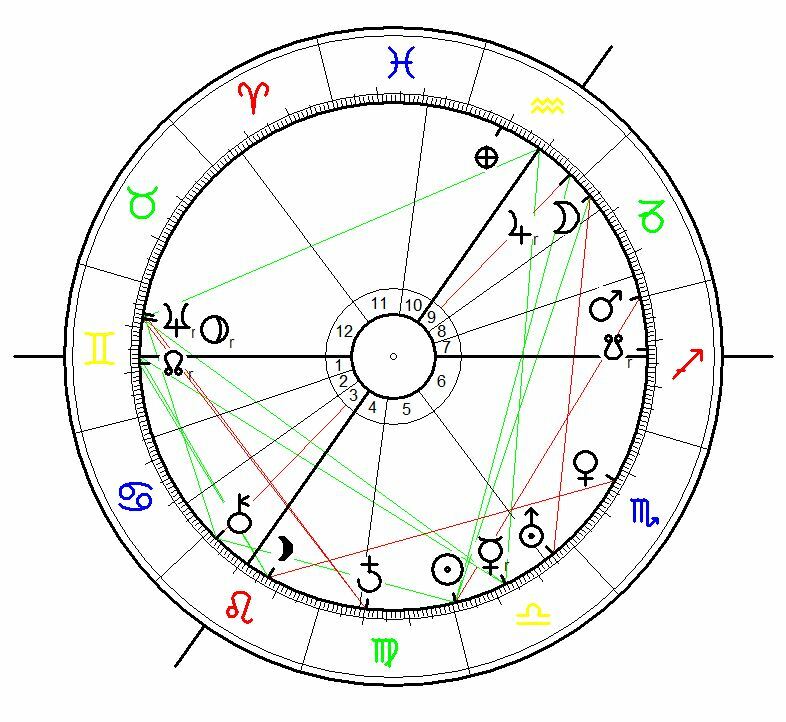 The astrological chart for Operation Barbarossa the Nazi German attack on Russia on 22 June 1941, 3:15 is calculated for the german capital Berlin as the line of attacks by air and land was too vast to use any other single place for astrological determination of the event. The astrogeographic position of Stalingrad at 1° Capricorn fell on the cusp of House 8 the house of death and giving up control in the chart for the german attack on Russia. This resonance indicates that Stalingrad was located in a highly problematic position for the whole of Operation Barbarossa right from its start. The Battle of Stalingrad (today Volgograd) between 23 August 1942 and 2 February 1943 was one of the most important and decisive battles of World War II. The attack of Nazi Germany and its allies on the Soviet Union had begun on 22 June 1941. 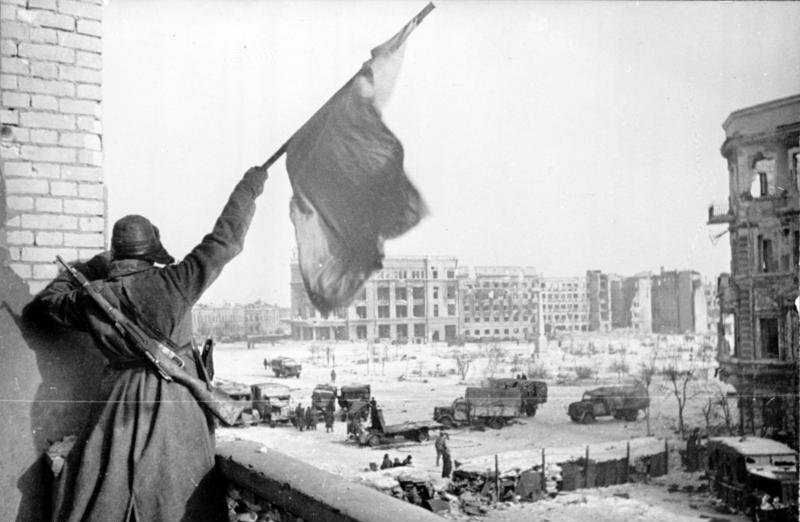 Capitulation of General Strecker and the last german forces at Stalingrad on 2 February 1943, 4:00 a.m. In the moment of capitulation of the last german forces at Stalingrad on 2 February 1942 at 4 a.m. the Moon had reached the degree of the astrogeographic position of Stalingrad at 1° Capricorn. 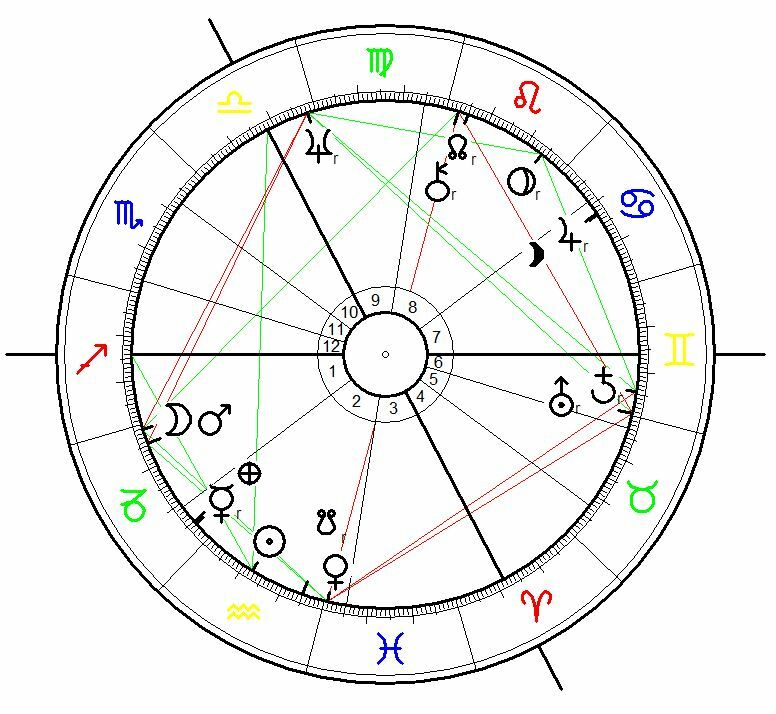 This transit is a powerful description of the intense resonance of the astrogeographical coordinates from my astrological world map with an event in history!! The transit of the Moon brought Stalingrad back into its self-control which had been threatened since the beginning of Neptune´s inress in Libra in a square position to Stalingrad since the beginning of October 1942. The first degree of Capricorn as the sign of control anyway stands for an astrological quality which indicates exorcism of evil and stopping what goes wrong, doesn`t work or simply represents a severe misuse of the spiritual dimensions of human potential. Therefore the resonance of a conjunction of the position of the Moon with the astrogeographic position and quality of Stalingrad is an intense explanation for the termination of the german invasion at Stalingrad making the place the dead end of Hitler`s advance in Russia. Neptune`s position at 1° Libra in square position to Stalingrad stands for the intense threat on the city by the attacking nazi-german forces and their so-called “allies”. On the other hand the square transit of Mars joined by the Moon in relation to Neptune on the day of the capitulation occured on the astrogeographic coordinate of the site itself therefore bringing the victory for the defenders of Stalingrad. At the time of the capitulation of the last german forces at Stalingrad Jupiter at 18° Cancer wasn`t exactly conjunct but near the astrogeographic coordinate at 24° Cancer. This movement of Jupiter turned out as positive for the defenders of the city. And it describes what I mentioned above as the constellation of patriotism and an important indication for fierceful courage and extreme sufferings of the defenders of Stalingrad. Cancer`s role as the sign of emotional pain may be observed here – in regard to the defenders as well as the invaders of course. The astrological birth chart for General Friedrich Paulus born on 23 September 1890 at 20:45 (= 8:45 PM ) in Guxhagen, Germany reveals a severe square position of the Sun at 0° of service orientated, aristocratic air sign Libra the sign of balance, angels and relationship with Mars the planet of warfare and indicator for Paulus` professional career as a soldier at 0° Capricorn exactly on the astrogeographic position of Stalingrad. This indicates that in regard to Paulus` personal topics and karmic issues Stalingrad represented the battle between the proud and playfully winning professional soldier boy with the beautiful personality and the desire to impress the young aristocratic women (Sun in Libra in House 5 together with Moon and Jupiter in house 9 the house of luxury) and the reality of being steered by the Masters of War (Mars at the end of house 7 in Capricorn in a constellation of foreign control over one`s personality. The inevitable defeat of the “Paulus Archetype” of the prussian soldier so reflected the defeat of the Sun as the centre of his personality through Mars as the indicator for his professional involvement in warfare for the leaders he served. 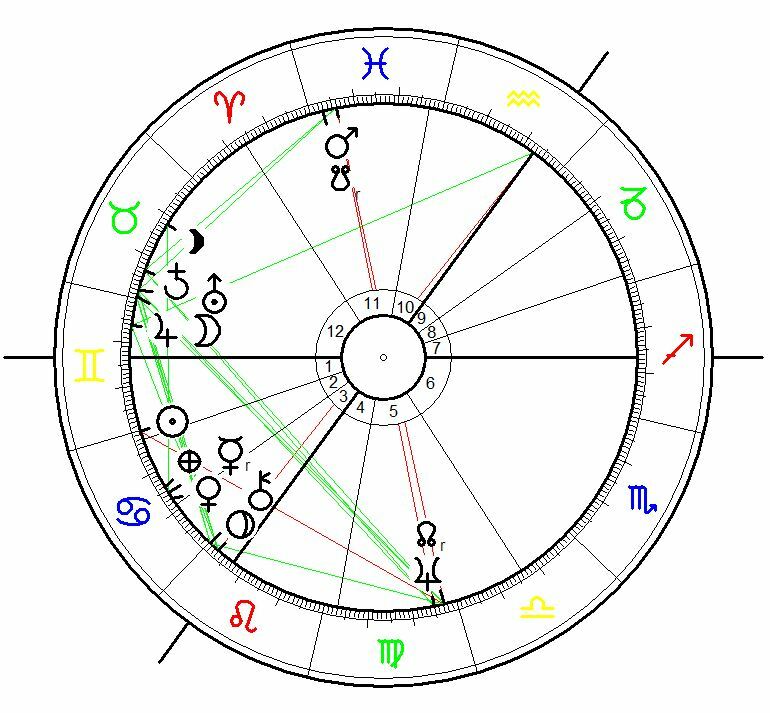 Neptune had been in transit in conjunction to Paulus` Sun since the beginning of October 1942 and was stationary at 1° Libra by February 1942making the defeat and extinction of the Sun in his birth chart even more dramatic and complete. All types of onjunctions of Neptune the planet of spirituality with the Sun are known for the tendency of leading to surrender and even subjugation. It is said that as a roman catholic Paulus refused to comitt suicide. After 1944 Paulus decided to support russian war propaganda and even went to live in East Germany after the end of the war. As can be seen the ascending degree in the middle of Gemini in Paulus` chart is almost exactly the same as for the chart of the whole of the Operation Barbarossa (above). The conjunction of the Moon (1° Capricorn) and Mars (4° Capricorn) during the capitulation of german forces at Stalingrad on 3 February 1943 on the cusp of house 8 of Operation Barbarossa and exactly on the astrogeographical position of the City of Stalingrad is a strong explanation of the significance of the battle of Stalingrad as the end of Hitler´s as well as his servant Paulus` plans to conquer and control Russia. 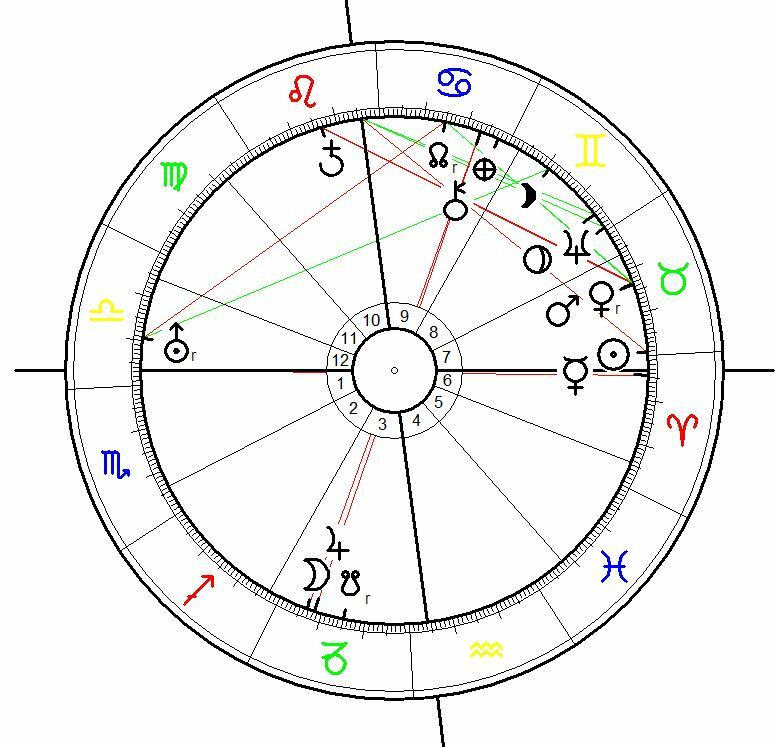 I am showing Hitler´s birth chart here to point out that Mars and the Moon were transiting the Moon and Jupiter conjunction in house 3 of Hitler`s birth chart on the day of the final capitulation of the german forces at Stalingrad. This emphasizes that the astrogeographic position of the town of Stalingrad and the german defeat there also had intense resonance with Hitler`s personal astrological chart. Hitler`s constellation of heading for “rulership and victory” (Moon – Jupiter conjunct in Capricorn) was terminated by the Stalingrad “experience”.